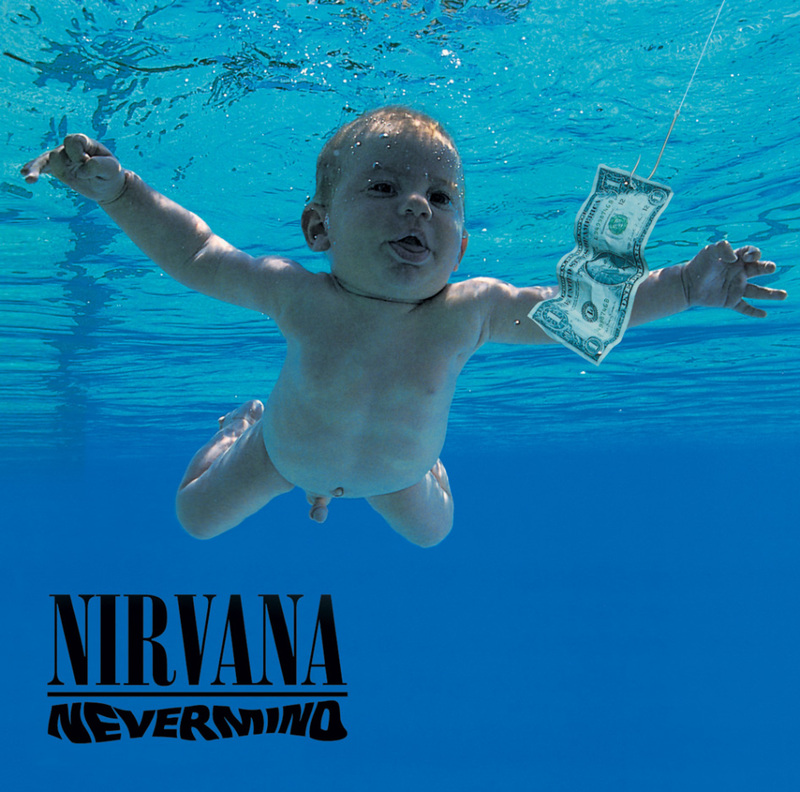 When it was released in 1991, Nirvana’s Nevermind sent shockwaves through the music world. It brought alternative rock to the mainstream and almost overnight made Nirvana the biggest band in the world. The record went on to sell over 30 million copies and is widely considered to be one of the greatest albums of all time. 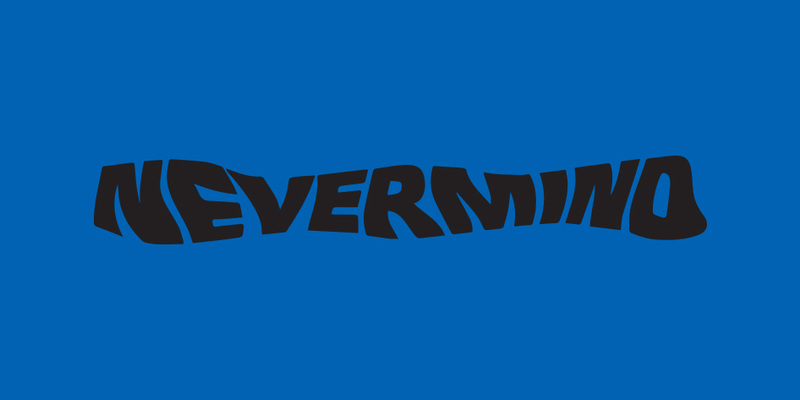 Part of Nevermind’s success was almost certainly due to its incredible cover, created by Robert Fisher. The cover now features in the Museum of Modern Art’s collection and is regarded as a design classic. 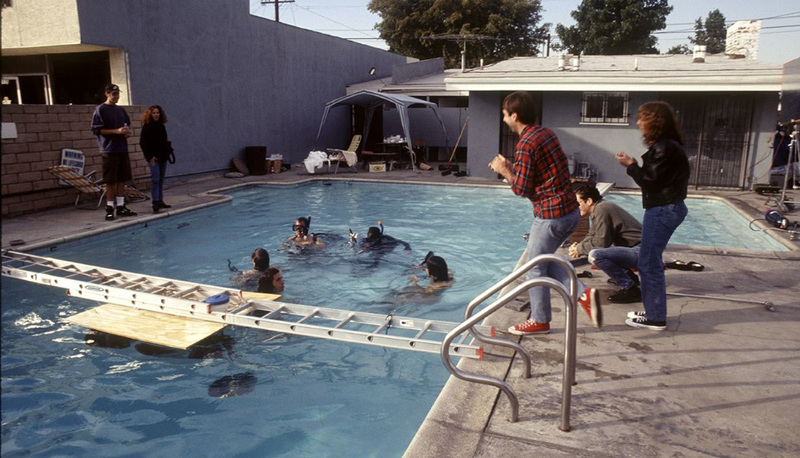 But before Nevermind’s release, Nirvana were an unknown band and Fisher was an equally unknown graduate working at Geffen. He explains what happened next. 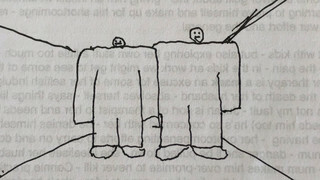 After meeting with the band, Fisher learned that Kurt Cobain already had a vision for the cover. 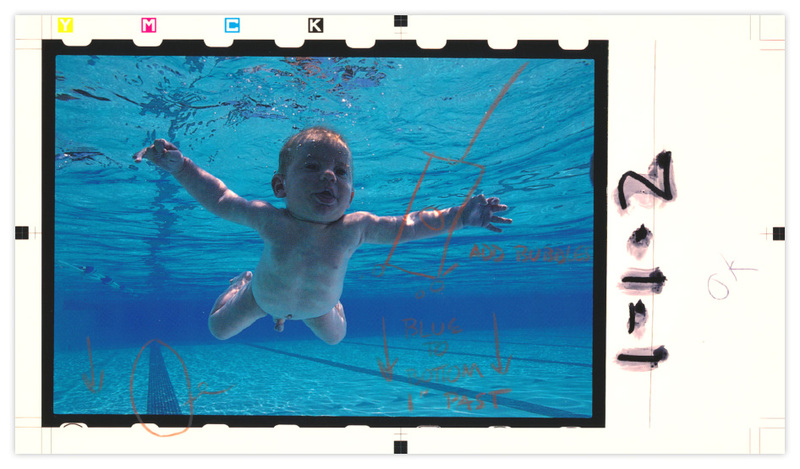 After ruling out the childbirth idea, Fisher started exploring other options featuring babies underwater. But he realised the image needed something else. Now that he had a concept, Fisher needed to find a photographer to execute it. He soon found the perfect person: Kirk Weddle. Underwater photo shoot with Kirk Weddle and Nirvana. Left: Art director Robert Fisher. Photo: Rolling Stone. 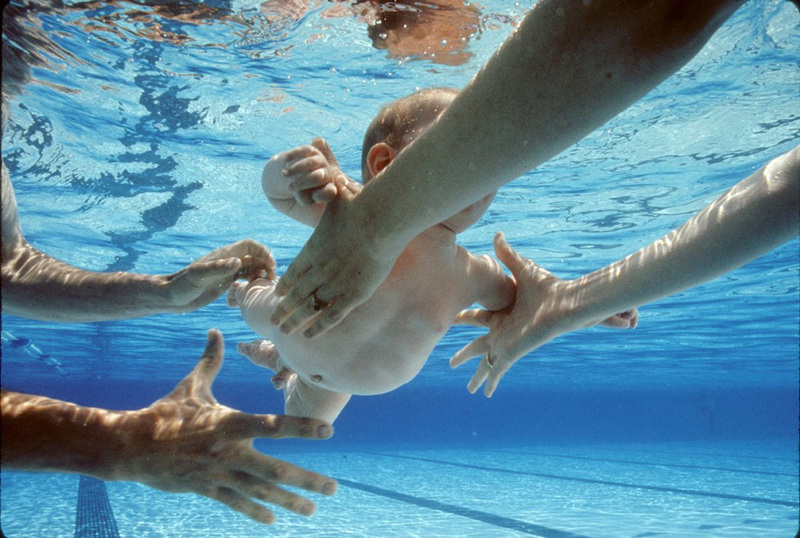 Parents pass a four-month-old Spencer Elden between them. Photo: Kirk Weddle. 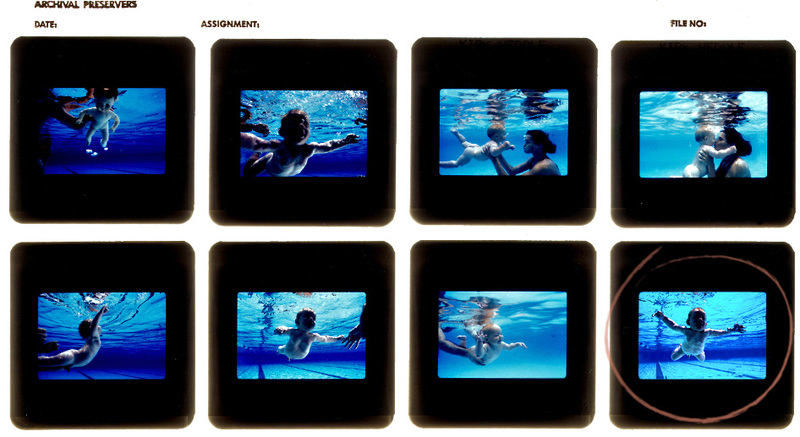 Proof sheet from the underwater shoot. The team used a doll (top left) for test shots. 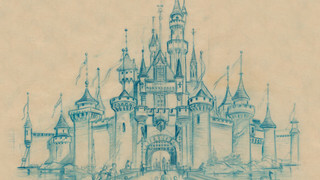 The marked up photo outlining the elements to be added or changed. 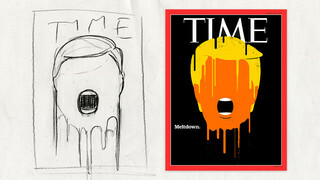 Left: The marked up photo. 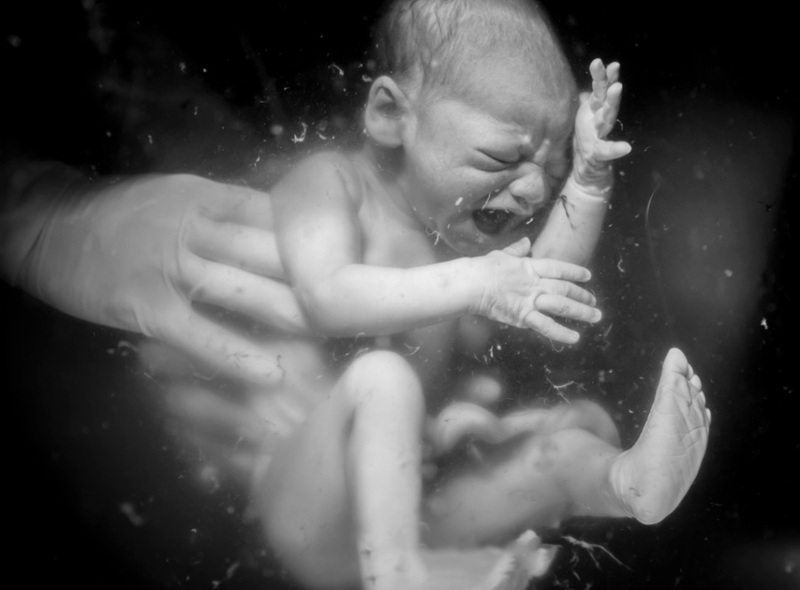 Right: The final composite image. With the photo complete, it was time to add the other elements to the cover. With the addition of the type and the band’s existing logo, the final cover was complete. For more classic album art, you can follow Robert Fisher on Instagram.